Nashville based photographer Giles Clement is best known for his unequivocal and intimate large format portraits. 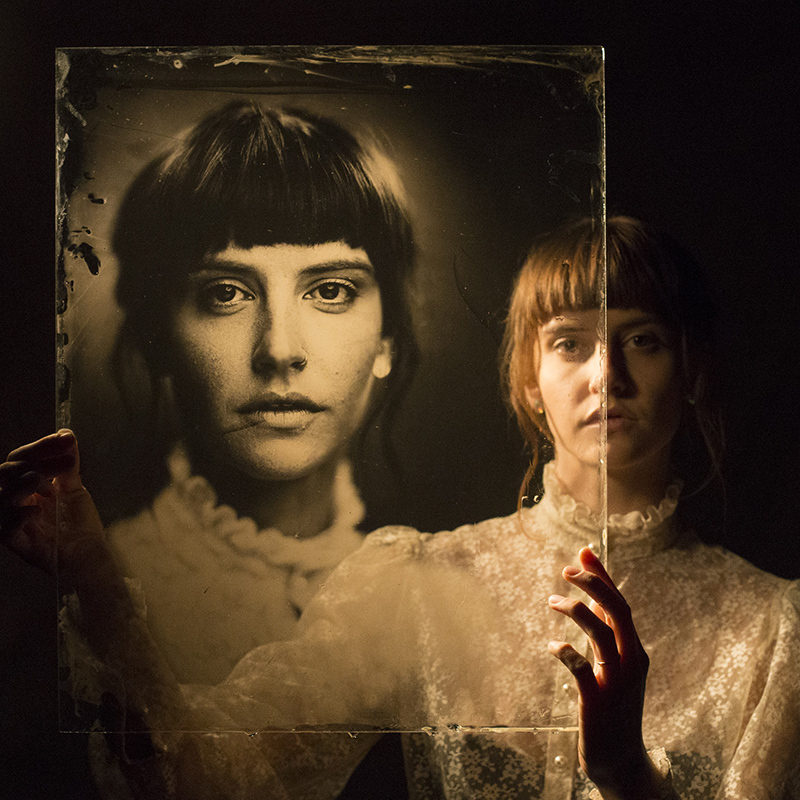 He uses one of the earliest photographic techniques, known as wetplate-collodion, creating unique silver halide images on sheets of glass or metal. Popular in the late 1800’s, wetplate was quickly abandoned as less difficult and more reliable methods of portraiture were invented. Today, in harmony with old methods and equipment, Clement uses modern lighting and technologies to capture the faces, and often the souls, of a new generation. Clement’s cameras and lenses, some more than 160 years old, were hand built by craftsmen in small shops. Made in an age before computerized manufacturing, each of his photographic instruments inherits the minor flaws of their designers. Flaws which are often revealed in the creation of perfectly imperfect images. Giles' work has been featured in Rolling Stone, Vanity Fair, and W Magazine. For five consecutive years he's had a studio at Newport Folk Festival and captured portraits of Elvis Costello, Questlove, Fiona Apple, Kris Kristofferson, and Roger Waters. In the US, he has done events with a variety of leading brands including Squarespace, Billy Reid, Ball & Buck, Black Diamond, and Third Man Records. 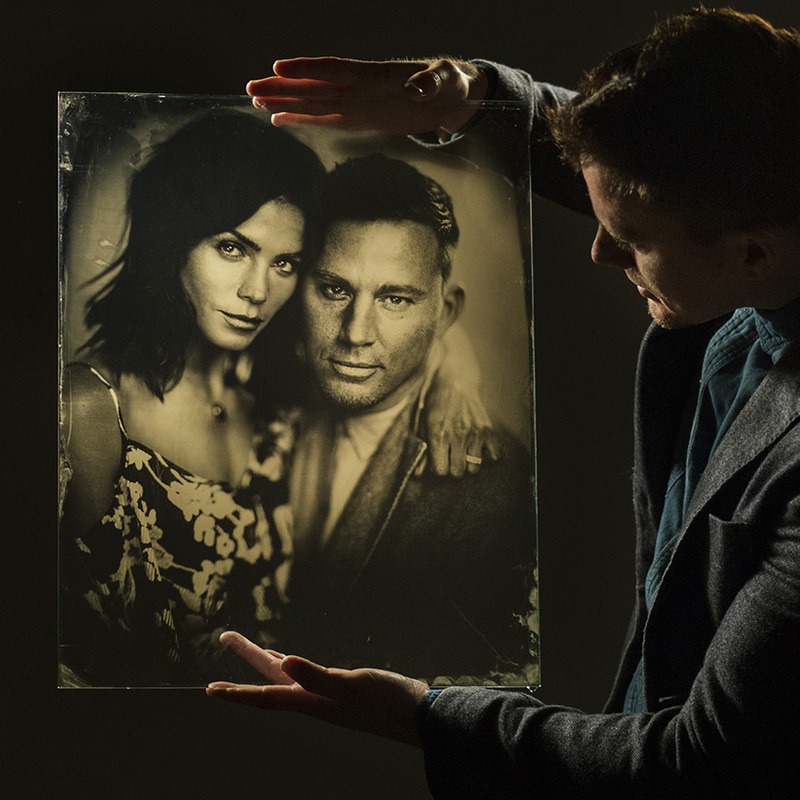 An ambrotype portrait session includes one image, a hair and make-up artist, the original 16x20 sheet of glass, a digital JPG and hand-delivery of your glass plate. The finished glass photo plates will be delivered by Wednesday, February 21st. This gives the artist enough time to dry, scan and varnish your plate, preserving it for a lifetime. Each image is digitally scanned and a JPG is sent to you via email. Note: we keep a high resolution scan of your image so that prints can be ordered if desired. * A 10% California sales tax is included in price. Please read before you proceed to scheduling. Ambrotype photography is an ART FORM and an IMPERFECT PROCESS. This style of photography is a 160 year old chemical process. Minor flaws and evidence of chemistry and handling are inherent on every ambrotype. Images are for personal use only. If you are interested in using an image for commercial use please contact us before scheduling to discuss licensing options. The lens and camera are designed for individual and couples portraiture. For families, we can fit a maximum number of 5 persons in one image. Due to a very shallow depth of field, the more people in the frame, the more difficult it becomes to achieve perfect focus. **This process requires the subject to be completely still. In our experience, capturing individual portraits of children under 7 and pets with this antique technology is difficult and most often impossible. Please use the scheduler below to make your reservation. A 50% deposit is required to secure your session. The remaining balance will be automatically charged to your card 7 days before your scheduled appointment. Note: If you would like additional ambrotype images made during your appointment, arrangements must be made at least a week before your scheduled session. Due to material costs and acquisition, we cannot shoot additional plates without prior notice. DEPOSITS ARE NON- REFUNDABLE IF THE MINIMUM 7 DAYS NOTICE IS NOT GIVEN. A MINIMUM OF 7 DAYS NOTICE IS REQUIRED TO CANCEL AN APPOINTMENT.